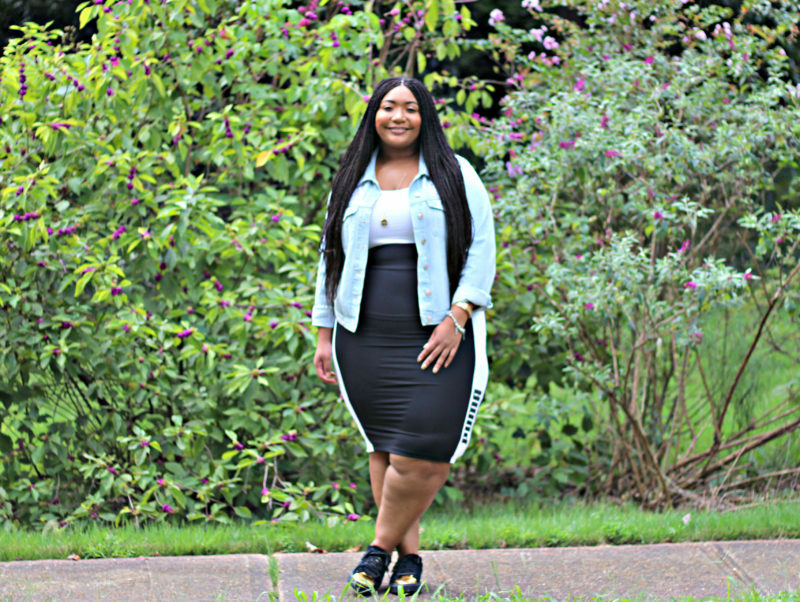 I am so excited to bring you all the fourth and final installment of my four part series “Summer Style Favs.” With having surgery before Summer my energy was very low for the most part. I finally feel like myself. Next up is athleisure. Athleisure is defined as “clothing designed for workouts and other athletic activities is worn in other settings, such as at the workplace, at school, or at other casual or social occasions.” Now I am not sure if this here and it was a no-brainer to take athleisure up another notch. Now I must admit I was swooning over the Adidas dresses but then I thought about my fav Puma. I am crazy about my Puma platform sneakers (on sale now) and set out look for the perfect Puma item. 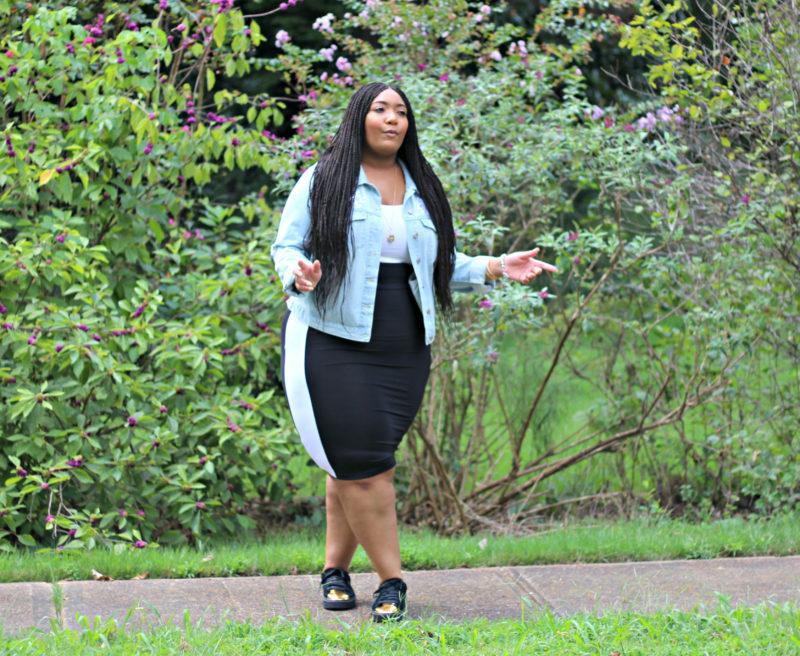 I found this skirt for a steal at $18! 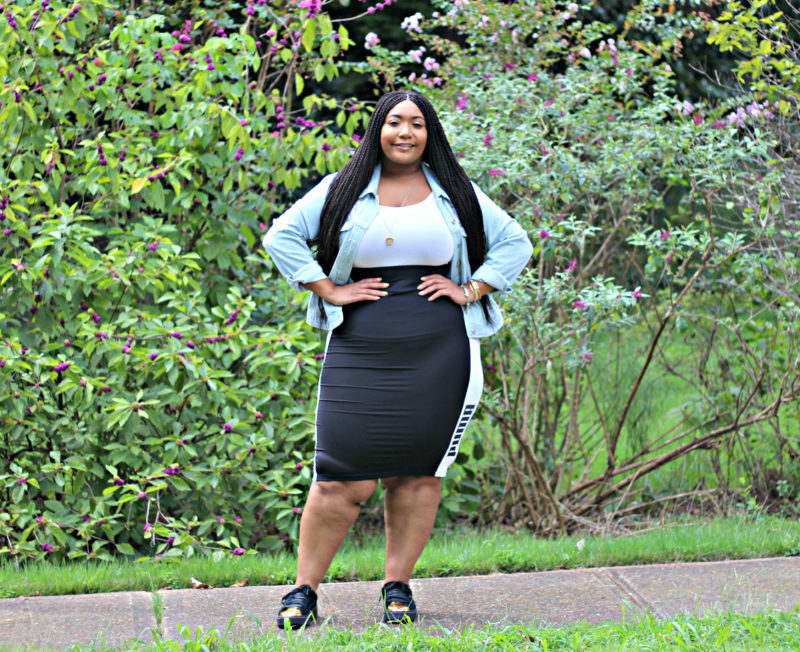 This skirt is no longer available for $18, but my exact skirt is linked on this post. The glue that held my outfit together was my denim jacket. I am super happy about designing denim jacket. When the idea popped in my head I immediately found these appliques and had them sewn on by my seamstress. I added a simple white tank top and long gold necklace to complete this outfit. Style Notes: My skirt is super stretchy and I am wearing an XXL. I am wearing a size large in this tank top, this tank top is stretchy. 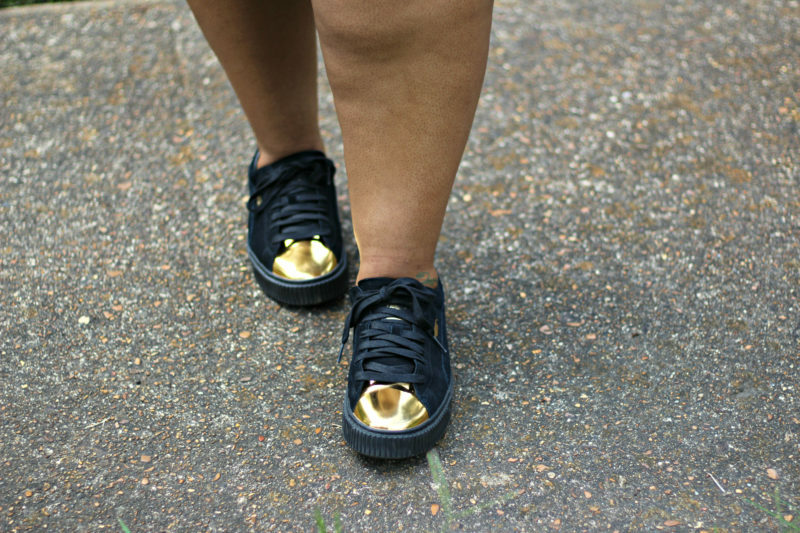 My Puma platform sneakers are true to size in a size 10. 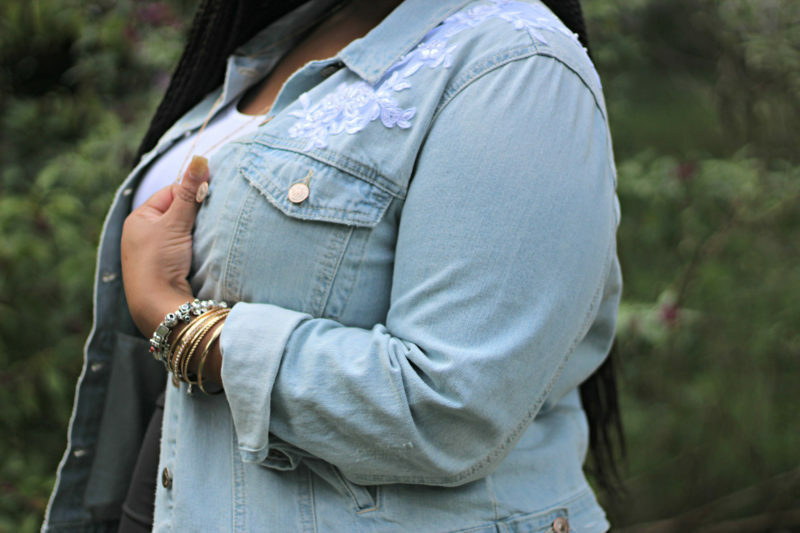 My denim jacket was once true to size in a size 2x. I could definitely use a 1x now. Yessss!!!! 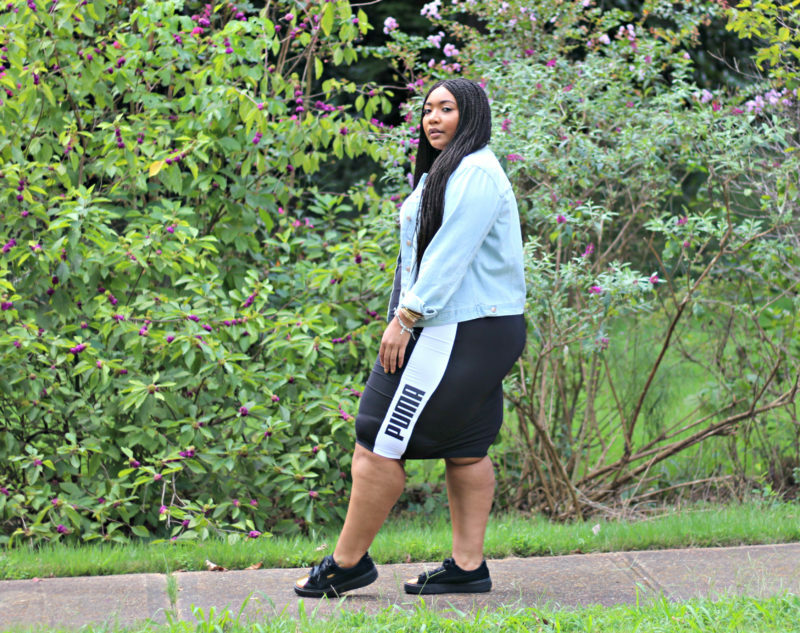 This skirt is definitely a winner! I have to check out the Puma collection asap. You know I love me some athleisure. Soo cute. Thanks Jami!!! The collection is everything! I’m getting this skirt!!! So cute. Thanks Toya!!! You’re gonna love it! 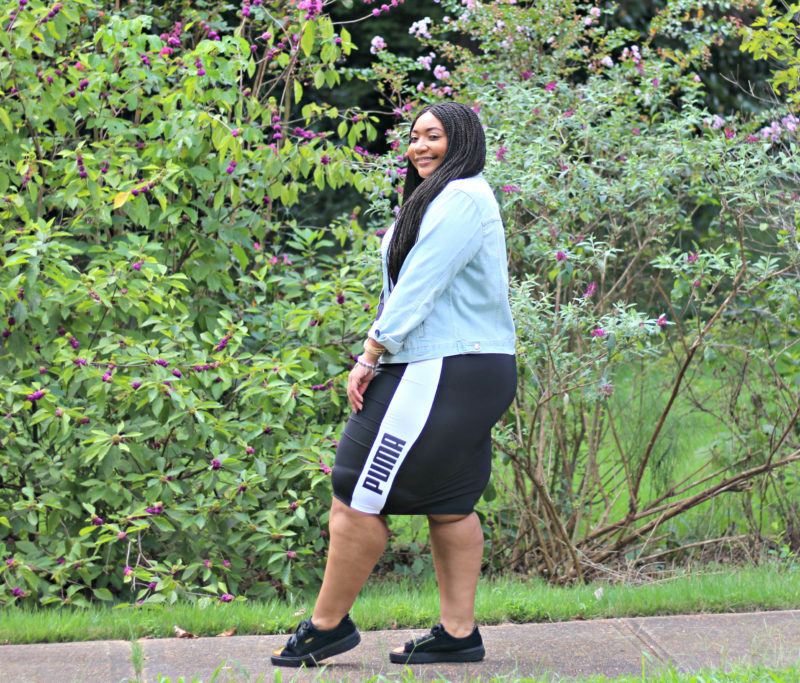 Loving this athleisure vibe! And GIVE ME those sneakers. Girl! I am nabbing that skirt like NOW! I love it!!! Please do! I can’t wait to see you style it!! !